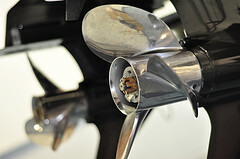 We Make Buying Your Boat Simple & Easy! If you are buying a boat you will have all the information you need to decide whether one of our listed boats in the right boat for you, BEFORE you make the decision to travel and view the boat. You can also be confident that you are getting a great deal on a competitively priced boat that is actually in the condition we say it’s in. 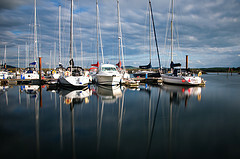 You can buy from us, confident in the knowledge that we will take care of all the necessary paperwork relating to the purchase and that we can help you through all stages of the buying process from choosing the right boat, to getting it kitted out for your specific requirements and delivering the boa t to you. If you decide to sell your boat with us you can be assured that we will give you an accurate appreciation of the condition of your vessel and a realistic market valuation; we won’t just tell you what you want to hear. We will also present your boat well and market your boat effectively locally and online, reaching the widest possible audience. The upshot of this is that we can sell your boat in a typically short period of time and very often for a much better price than can be attained locally in a private sale. We take all the hassle out of selling your boat, from dealing with initial enquiries to carrying out sea trials, negotiating the deal, and taking care of all the paperwork. - Engine diagnostic reports where available, showing running hours, fault history etc. GulfStream Marine is the No. 1 point of contact for Bayliner boats in Ireland. As factory appointed main dealers we can keep you up to date on all the latest developments in the Bayliner boats range and we regularly stock a range of new models in our recently revamped showroom. If you are thinking about upgrading to a new Bayliner we would be delighted to discuss the options with you and arrange for you to try out the boat of your choice. 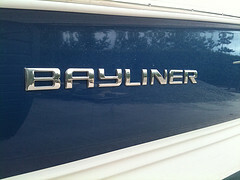 Check out full details on the current range of Bayliner boats here. If you would like more information on our step-by-step process for ordering your new Bayliner click here to find out more. Everything went great on Saturday. Robert went through everything with me,twice. When he left we spent the rest of the day on the river getting used to the boat. I spent all of yesterday on the river. The boat is everything I hoped for and more. I would like to thank you for your great service and advice. As you know I had tried dealing with several other companies and despaired at the levels of service. It was such a pleasure to deal with such a professional company as yourself. From the start, watching the videos online to having the boat on the water was painless. Thank you and your staff for all your help.